Weight loss is a hot topic nowadays. Take a look around you and you will see many people out there not in the right shape. The exact problem is not having a proper plan. Just like the saying “prevention is better than cure”, it is always better to always be in the right shape rather than going out of frame and then working on it. 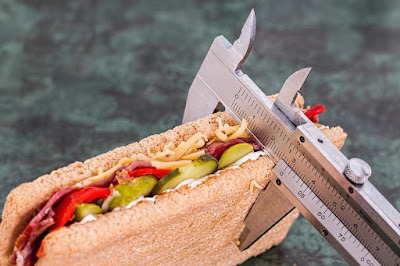 So, here we will take a look on how to keep your body fit and maintain the right height to weight ratio and also on the case where you have to reduce your weight had you put on more than required. Now, let us check out the main parts of a healthy weight loss program. You need a proper plan depending on your weight. There is an amount by which you can reduce your weight, measures should be taken accordingly. Weight loss plan never means a less-diet plan. It means having food that gives you the right amount of stuff that the body needs. A balanced diet alone won’t help you in reducing weight. You need to have a proper exercise plan and should work out daily. For it to work out, you will need a complete change in your daily routine. No worries, nothing to do with your work cycle, but you need to organise your work daily and have proper timing for physical exercise and diet. Here, we would like to give you an idea on weight loss by helping you out in all the areas mentioned above. Certain things to keep in mind when you are about to start with the weight-loss program is that- calories, portions and nutrition play a vital role. Weight loss, even by a small amount will result in big health benefits. Another important thing is that you must consult a doctor before you start your weight-loss program. The first thing to do when you start your weight-loss program is to check your BMI index. Check if it is in the allowed BMI categories. You can get BMI Chart Template online easily for men or women. This will give you an idea about your fitness and how much weight you should lose to put your body back in shape. Next step is to meet a doctor and decide on your plan. If you have a lot of weight to lose, then plan out a realistic goal. Remember that you won’t be able to lose all the extra kgs within a week. Plan out the diet and exercises and make a timetable so that you don’t miss out any part of the weight-loss plan any day. How do I know which weight loss plan is good for me? This is the exact reason why you should meet a doctor. It should go one step at a time. Depending on the BMI index and the amount of weight that you need to lose, you can take up a plan and follow it daily. One thing to remember is that you should not give in the very next day your schedule stops. For ex, you have a plan for one month, you should not stop the plan exactly after a month and then go back to the older habits. You can also take a look at the popular diets for weight loss online. Check out some diet plan. What to look for- you can check out the foods that you will need while you follow the weight-loss program. Simple reduced calorie menus- check out for a variety of menus for reducing weight while eating the right amount of food. Eating good and healthy while dining out- weight-loss program will ask you to reduce or stop junk food alone. It never asks you to not dine outside. If you were to have the goodies outside, you can check out here for the ones that come under the weight-loss foods. Healthy Eating with ethnic food- you can check out the ethnic cuisines that you can try out even in your weight-loss schedule. You can check out online some of the physical activities that you need to follow during the weight-loss program in the following links. Planning out the entire schedule alone will not give you a proper body. Many people lose track of their schedule within a week. Work out your plan properly and continue the exercises. If you follow the above mentioned diet and activities, you can get your body back in shape and never worry about weight-loss again. Author BIO: Puran Kaushal, a professional marketer, blogger, freelancer but a true content creator. . Having proven track record of Guest Posting, SEO and Writing can stretch into a wide variety of skillsets.